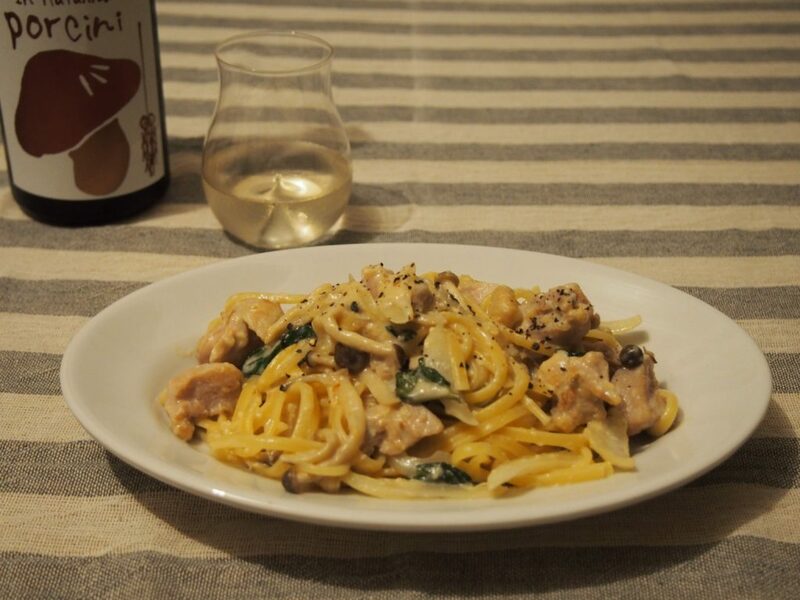 Hanako’s Recipe：Creamy Sake Kasu Pasta – SakeTips! １．Boil water in a pot. ２．Cut chicken into bite-size, and sprinkle salt lightly. ３．Slice onion, break up mushrooms (if you use shimeji), and cut spinach into 3-4cm (1.2-1.5 inch) width. ４．Soak sake kasu in soy milk. ６．Pour the oil in the pan, cook chicken (2) on medium heat. Lightly browned, put onion, mushrooms, and spinach (3). Sprinkle salt lightly. ７．Turn down the heat, put sake kasu and soy milk (4) and melt them slowly. *Take care not to boil sake kasu. ８．After sake kasu melted, put and dissolve miso. ９．Put pasta (5) in a plate and mix with creamy sauce (8). – Do not serve this to children because it includes alcohol. This recipe is friendly for people who feel creamy pasta with butter or cream a bit heavy. Also, vegans and vegetarians can enjoy it if they do not put chicken in it. In fact, sake kasu is a very helpful ingredient for vegans and vegetarians. Its unique flavor reminds you of cheese, which is strengthen when you warm it up. Since you can use sake kasu for wide types of recipes including sweets, I’d be happy if you enjoy it with seasonal ingredients. 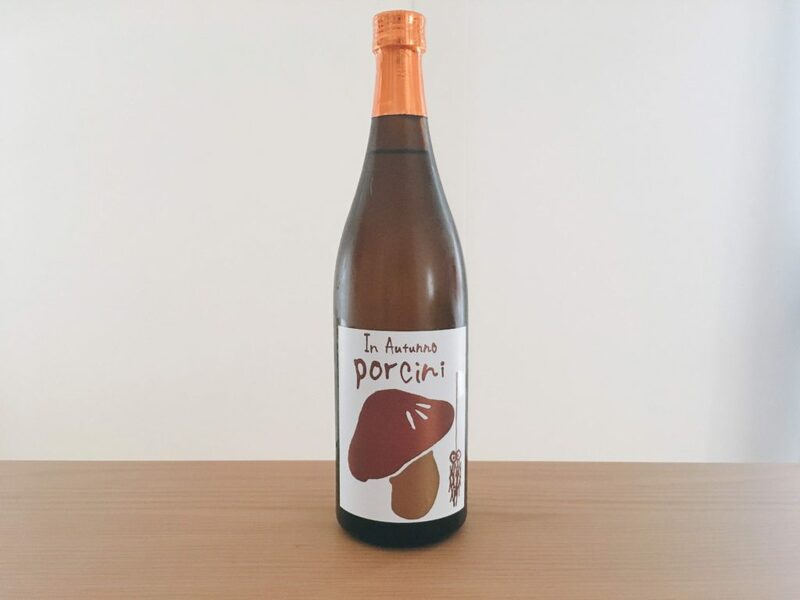 The sake “Porcini” is brewed reflecting the image of a porcini mushroom that has a fragrant flavor as a feature. It is fragrant fruity. You can enjoy it as if it is wine, suitable for western cuisine, such as Italian, French, and so on.